Arduino Blog » Arduino Day 2017: Thank You! Arduino Day 2017: Thank You! 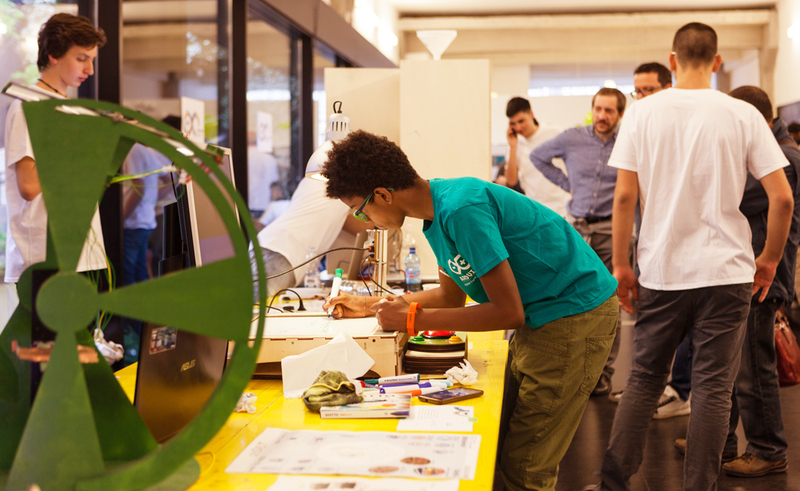 On April 1st, Arduino Day was celebrated by more than 499 communities in 79 different countries, with official events held in Turin, Malmo and San Jose. In Turin (photos can be found here), Massimo Banzi and Federico Musto unveiled the latest developments of the Arduino platform, including products like the MKRFOX1200, NFC Shield, LoRA Gateway Shield, LoRA Node Shield, as well as the Casetta and Libretto Kits. Moreover, they also highlighted new improvements to Arduino Create, particularly its expansion to Chromebook users, and recent advancements of Arduino’s educational project, CTC. Weren’t able to tune in to our live stream? Watch the video below to catch all of the day’s talks by various members of the Arduino team. Most importantly, we would like to express a heartfelt thanks to our extremely passionate and awesome community. It was YOU who made Arduino Day a huge and successful celebration we will never forget.